Special International Missions Update on Cameroon – North American Baptists, Inc.
Watch Kerry Bender’s Facebook Live post here if you missed it. The Cameroon Baptist Convention Executive Director has established Operation 7-7 for Cameroon, an invitation for more than 7 million Christians to pray for at least 7 hours on Friday, September 28 (12:00 p.m. – 7:00 p.m. PDT / 3:00 p.m. – 10:00 p.m. EDT). 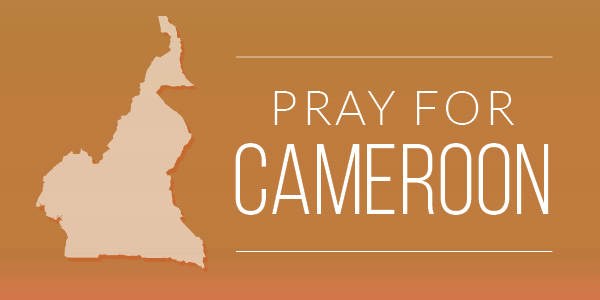 Would you join in prayer for the nation of Cameroon and the current crisis? The NAB missionary team in Cameroon is grateful for the concerns expressed and prayers offered regarding the ongoing socio-political crisis in the country. While the violence continues to increase each day, we want to assure the NAB family that we are taking all necessary measures to remain safe, while at the same time continue serving the Kingdom alongside our Cameroonian colleagues. A national presidential election is schedule for October 7th. As it is anticipated that the unrest will intensify during the weeks and days leading up to and following the election, some of our missionaries have temporarily relocated to less affected areas of the country. We will keep this page up to date as we get more information. We covet your prayers and are grateful for your partnership! Click here to see a note from the President of the Cameroon Baptist Convention.